In addition -- and importantly -- reports VentureBeat, the towers also do not appear to belong to the government's top spy bureau, the National Security Agency. The existence of the towers was revealed by the CEO of ESD America, Les Goldsmith, in a recent report by Popular Science. ESD America builds the super-secure Cryptophone 500 for clients who require military-grade security and can still afford the phone's estimated $3,500 price. "Interceptor use in the U.S. is much higher than people had anticipated," Goldsmith told PopSci. "One of our customers took a road trip from Florida to North Carolina and he found 8 different interceptors on that trip. We even found one [in the vicinity of] South Point Casino in Las Vegas." So what are they? Whom do they belong to? And why are they being erected? Goldsmith is not sure, but he has some suspicions. "What we find suspicious is that a lot of these interceptors are right on top of U.S. military bases. So we begin to wonder -- are some of them U.S. government interceptors? Or are some of them Chinese interceptors?" he told PopSci. "Whose interceptor is it? Who are they, that's listening to calls around military bases? Is it just the U.S. military, or are they foreign governments doing it? The point is: we don't really know whose they are." In the course of testing the uber-secure phone, Goldsmith and his team found the existence of the secret interceptor towers, which grab calls and then hands them off to a real network, thus allowing the interceptor tower to monitor the calls or inject spyware into the mobile device. The towers are not necessarily physical towers, but are called such because they trick cell phones into thinking that they are. 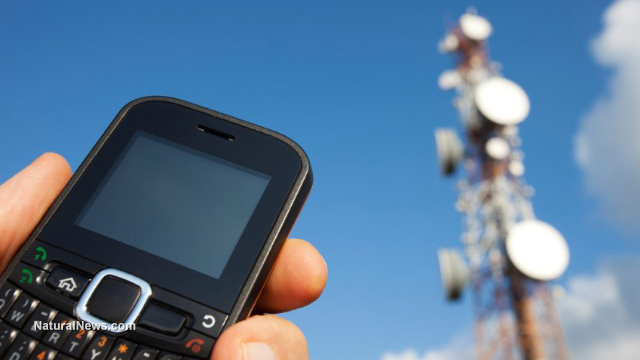 It's probable that many of the towers are actually what are known as "Stingrays," mobile devices used by law enforcement and criminals alike to track or intercept cell phone signals. In July, ESD America identified 17 of the towers, but now it has increased that outed inventory to 19. On its Facebook page, ESD America points out that an interceptor "doesn't necessarily need to be a[n] actual cell tower," but could simply be the listening/call handling technology sitting somewhere. SilverSky chief technological officer Andrew Jaquith told VentureBeat that the towers don't belong to the NSA. "The NSA doesn't need a fake tower," he said. "They can just go to the carrier" to tap your line. "I would agree with that," Goldsmith added. The discovery of the interceptor towers "appears to confirm real-world use of techniques that have been highlighted by researchers for years," Stephen Ellis, who is manager of cyber threat intelligence at security firm iSIGHT Partners, said in an interview with VentureBeat. Though his company "cannot confirm the accuracy of this reporting without further information," Ellis nonetheless told the website that iSIGHT is "highly confident that we have observed real-world use of this technique in support of another of its uses - cyber crime for financial gain." "We have observed and reported on cases in other parts of the world where actors are known to have set up fake base stations to send spoofed SMS messages," Ellis further stated during his interview, "possibly to send spam or to direct unsuspecting victims to malicious websites." In August, the Federal Communications Commission announced that the agency would be opening an investigation into the use of cellular network interceptors by criminal enterprises and foreign intelligence agencies. Goldsmith said that his company was not mistaken about the towers. He said, "We can definitely tell" that they are not affiliated with known networks, just by examining the infrastructure. The fake towers do not have normal names that regular towers have. They also insist to your cell phone that they must handle the call before tricking your phone into shutting off its normal encryption.